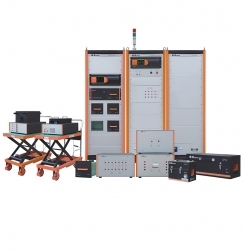 Santa Fe Springs, CA, February 05, 2018 –(PR.com)– Mission Microwave Technologies, a manufacturer of highly efficient Solid State Power Amplifiers (SSPAs) and Block Up Converters (BUCs), announced today that it is has completed the initial delivery and acceptance testing of its 200 Watt Ka Band (30 GHz) Gallium Nitride (GaN) based products for a U.S. based technology integrator. 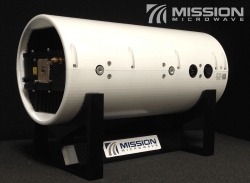 Mission Microwave is providing individual amplifiers and redundant systems based on its Titan Ka Band BUC. Both Ku-Band and Ka Band systems are being delivered in support of mobile SATCOM deployable systems. The 200 Watt Ka band Titan BUC produces over 100 watts of linear Radio Frequency (RF) power in a 10 kg package to support mission critical communications while the Ku band configuration delivers 200 watts of linear Ku band RF power. Tactical and commercial customers and their end-users can expect to benefit from continued releases of new Mission Microwave RF products as leading satellite communications systems suppliers incorporate them in their designs for X, Ku and Ka band uplinks for commercial and MILSATCOM applications. As with every Mission Microwave product, these GaN based Ka and Ku band BUCs are based on a family of proprietary components and design elements that ensure the products are predictable and reliable in their manufacture, operation and support. Mission Microwave Technologies brings revolutionary design for RF (Radio Frequency) and microwave electronics, supporting ground-based, airborne, and space-based applications. 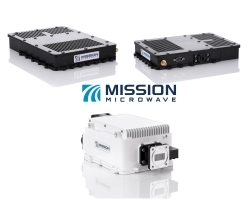 Using the latest in semiconductor technology, Mission Microwave's focus is to minimize the size, weight, and power (SWaP) for these critical applications, while providing its customers with the best possible reliability. Mission Microwave sets the new standard for performance and reliability. PreviousA Night of Fashion Returns to Atlanta with Upcoming Event Hosted by I Will Survive, Inc.